True Goobee. I was embarrassed to read Murphy's post about listening to the 80% of bowlers (really 90+ %), versus the "wealthy". Almost to a man the best bowlers thought this was a disadvantage to the rest of the entrants. But you're right, the vast majority of bowlers wouldn't know what to do or how to read them anyway. "And, many of the recent decisions made were there to support the wealth (being the more active, better players in this analogy) because those were (are) the folks that do all the talking." He stated that he thought it was funny that many had talked for twenty years about making things harder, and they did. Yes they did, but it certainly wasn't the average bowler requesting harder conditions, it was the better bowlers. The thing that rankles me a bit is that in the end, he will claim that the USBC is great, made all of the right decisions because of the "Data". But all they did, including giving freebies to those that hadn't come back in awhile to the OC, was raise entries from what they estimated would be far lower. In other words, they will have more revenue. His comments for me, undermine his own stated goals about the sports future. It's really about the future of the USBC. [censored] backwards leadership. I don't think comparing it to the PGA US Open is really valid. How many entrants in the US PGA US Open? A few hundred that get cut way down. Plus a professional level payout. Compared to what, hundreds of thousands entering? Wouldn't that make the USBC Open Championship much more "open" than the PGA? We're just going to practice on the Sunday morning "pro pattern" that gets set up. Learn to adjust so whatever we see, we should at least be able to adjust a bit. We're under no pretentions that we'll be making any money - personally I'm using it to push myself. As long as I comport myself better than last year, I'll be happy. The thing that really kills me about not releasing the pattern is the livestreams. I loved those. There was more than once when I scheduled the next day off work so I can stay up and watch a late stream. McNiel's 2012 All-Events is one of them. I think they were incredible. History was captured and preserved. Entertainment. Education. Promotion of the sport and the tournament. But now all of that is gone. 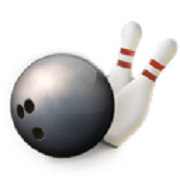 And all the top bowlers agree that seeing other bowl on the livestream didn't really give them an edge. Just ask the Vermilyea group. Two Team All Events Eagles in three years while being the first major team to come through. So we're hiding the pattern which opens questions of fairness, integrity, and transparency. We're losing a tremendous service in the livestreams. We're losing more value in out membership. The tournament is getting less exposure. 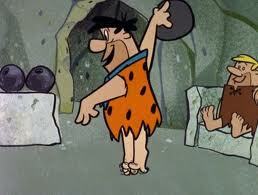 We're doing less to teach lower average bowlers about the nuances of sport bowling. All of us average Joes agree that knowing the pattern was of no real benefit, and the top bowlers say they never prepare on it anyway. So while there's a list of negatives, what's the benefit? As I launch into my annual news-gathering role, let me know if you want updates on only the Regular division or if the other two divisions are OK, too. Team USA member Bryanna Cote was the story of the first weekend of competition, leading every Regular division event, including doubles with her husband, Randy. Bryanna posted 615 in team, 675 in doubles, and 663 in singles for a 1,953 in all-events. Apparel EFX was the Cotes' team. Agree with Champ re: the live streams. I feel as a USBC member that's one of the benefits that my dues pay for so I am losing some of the value of my membership. I also don't see any benefit of hiding the streams. The bowlers that live close by can go to the Plaza and scout some of the action anyway, but I also agree that it's not going to help later groups prepare for the tournament that much either way. As the story goes, USBC says the "data" showed that 80% of bowlers thought that it was unfair that some had access to the patterns to play in their own center, unfair advantage and all that. That's hogwash, as many here have stated it wouldn't help them at all anyway. The lack of coverage via livestreams is a huge negative. Nobody's really following it now because they don't even hear about it. Seeing scores is simply not a big thing. As always, the best bowlers will end up at the top. Lennie Boresch Jr.'s Classic Lanes group now can lay claim to every Regular division lead, as Lennie's Classic Lanes Raisins leads team with 3,158, Lennie and his son Jacob doubles with 1,289, USBC Hall of Famer Gary Daroszewski singles with a 736, and Jacob Boresch all-events with 2,122, including a 760 in team to help his Classic Lanes Kids to second place in that event. Classic Lanes Raisins also now lead TAE with 9,360. The first timers on my team were looking forward to practicing on the pattern when they arrive. I told them how much it costs and they said "what?"